Does it matter that Windows Phone has 100k apps now? Microsoft(s msft) unlocked a new achievement this month, surpassing 100,000 apps for its Windows Phone mobile platform. The data comes from All About Windows Phone, which tracks the app data and has a treasure trove of detailed information about the software, ranging from price points to countries with the most apps available. While the app catalog is growing, software for Windows Phone doesn’t seem to be boosting sales as much as software did for Android(s goog) and iOS(s aapl) devices. What’s happening with Windows Phone sales? Not much, to be honest, and certainly not as much as I anticipated after using Windows Phone 7.5 in August of last year. I expected that by the end of this year, Windows Phone could eke out 10 percent market share and surpass BlackBerry. It’s still possible, but it’s going to take a massive effort. And Microsoft isn’t heading in the right direction: As of last month, its share of smartphone sales had declined over the prior 12 months. Research firm Gartner notes that Windows Phone and Windows Mobile combined only held 1.9 percent of the market in the first quarter of 2012, down from 2.6 percent a year ago. There have been some recent reports that Microsoft is doing well in China — better than iOS, with a 7 percent share — but I’m skeptical: Windows Phone devices just launched in China earlier this year, while the iPhone has been sold on multiple carriers there for some time. And as much as I like the usability of Windows Phone myself, I have yet to see others with a Microsoft device. Some of my colleagues have echoed the same. Here’s the funny thing and part of the reason that the number of apps really means little, or not as much as it used to. Guess where the most apps are available for Windows Phone devices? According to the data, the U.S. leads the way, with 77,450 of the 100,000 available. Going back to the China example, where the phone is allegedly doing well: There are 33,063 apps available to Windows Phones in China. Something doesn’t add up. Actually, the app numbers do make sense, but they have less relevance to actual sales than they used to. As long as the top-tier titles are available for a platform, most users ought to be happy. And more of those titles are appearing on Windows Phone. But — and this is key — few, if any, are launching first on Windows Phone, which suggests developers don’t see the platform as the best place to debut their wares. Microsoft simply hasn’t given developers, or many consumers for that matter, a compelling reason to opt for Windows Phone over Android or iOS. It’s not the apps; it’s a question of what Windows Phone can do for consumers and for developers already invested in Android or iOS. (As an interesting side note, 67 percent of Windows Phone apps are free.) Xbox Live ought to help and so too will Windows 8, which shares the Metro interface, so there’s hope yet. A closely watched metric for apps stores of late is the growth rate, but I counter that it’s far less relevant now. In 2008, when Apple launched the iTunes App Store, soon to be followed by the Android Market (now Google Play), such growth was important for two reasons. One: Smartphones running platform-specific apps were a new concept for mainstream consumers. And two: The starting point was zero. The growth-rate comparison simply doesn’t matter: We’re four years past when it mattered. There are many more consumers buying smartphones now than there were in 2008. That’s evidenced by the Windows Phone market share; as noted above, it lost share, but in terms of sales, it actually rose from 2.5 to 2.7 million units for Microsoft in the first quarter. The whole market is rising and gaining users, so you can’t meaningfully compare app growth rates in 2012 to those in 2008. Clearly Microsoft is in this for the long haul, and although smartphone sales have boomed over the past few years, only one-fifth of the world’s population owns a smartphone. So there’s time yet. Instead of apps, which are of course important, the maturity of Microsoft’s mobile platform and supporting ecosystem are more important factors to watch than the total number of apps available for Windows Phone. 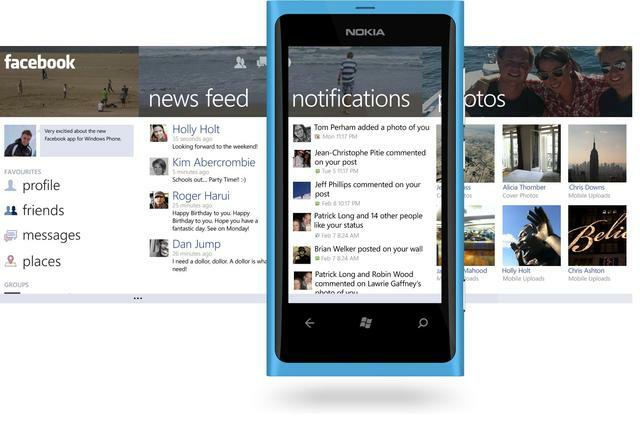 WP 7 is still an infant it has much to develope. It has a new UI . It attracts people who were bored by old grid UI . And thing to remember is microsoft is releasing windows 8 in metro style it may help wp to reach to public who were using windows pc. And nokia is supporting wp . It is keeping full effort in it and it has pure view technology so there are many positives to be looked in case of WP. The main problem with the Windows Phone adoption rate is MARKETING!!!.. let me say it again..MARKETING! Any issue that any of you guys are talking about is irrelevant because the general public, not us who are here reading about tech, doesn’t know it exist! 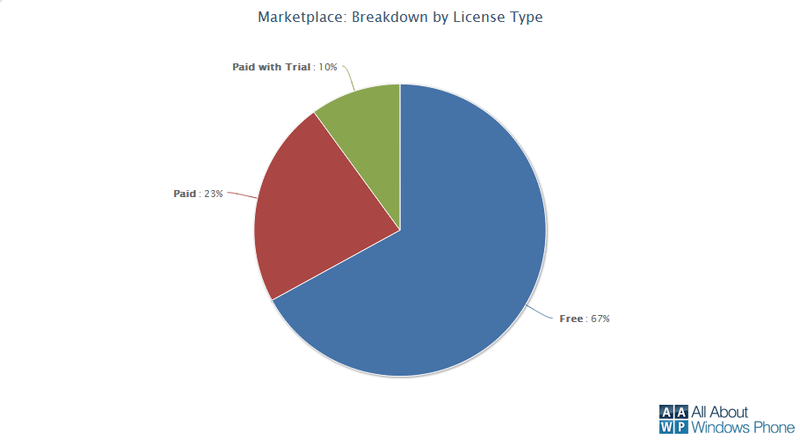 Some of you want to try to use the fact that WP is not selling to try to make a case against MS, or the WP experience.. Trust me, WP is very good, regardless if it is made by MS, or of certain missing apps, and if the majority of buyers knew about what it had to offer it would be selling very well. People just don’t like to feel like they are the only ones buying a product. They want to be part of something, and that’s just how it is. Yes apps are important, but the average user doesn’t even use that many apps on a weekly basis. The apps will come, so that’s not the issue. The issue is that if this OS isn’t marketed properly the apps will not come, the support from the carriers will not come, and the vendors will not invest in making innovative hardware. I’m sorry to burst your bubbles, but WP is a very good OS. This is extremely high quality software, that puts some platforms with higher market share to shame. Yes, more functionality is needed, and yes it’s on its way, but WP7.5 Mango has enough features for the average consumer NOW! Marketing is the root cause of any issue WP has had, and currently does have, and if its not improved it will remain the largest issue of WP in the future. If they can get the marketing right, then WP will be a threat to other platforms, actually they should be already threatened. Any WP market share data talked about here in this article was pre Nokia Lumia 900 release on att. Supposedly large amounts of those devices have been sold since April 2012. The real numbers we need to look at are 2nd quarter numbers, which have not yet been released seeing that its only 6/6/12. The whole lot of you look really pathetic. It’s not a hit piece as the sales data isn’t something I’ve made up and I didn’t say there aren’t enough apps. On the contrary, I’ve been occasionally pointing out when a top tier title lands on the platform. I also like Windows Phone and called for it to surpass BlackBerry this year. The point of the piece, which you seemed to have missed, is that Windows Phone isn’t being talked about by consumers; it doesn’t have the mindset and momentum that iOS and Android have. The number of apps is irrelevant at this point, as stated in the post. I love it! You said it perfectly.. LOL!! What a bunch of children.. Come on guys play fair! What’s really going to be funny is when some of these haters are switching to WP in the future. LOL! Lumia 900 is second best selling phone on AT&T. It’s way too early to dismiss Windows Phone. I thought about getting the Lumia 900 but when I heard, or rather didn’t hear anything about the Lumia getting Windows Phone 8, I decided not to get it. Why would I buy a phone only to have it not supported within 5-6 months after launch? At least with my old iPhone I knew it would be supported at some level for more than the life of the contract and with my Android phone I can at least install another ROM. Too bad Microsoft can’t make me want to get the phone because I want to like it. What makes you think that the Lumia 900 won’t be supported after 6 months? As for the iPhone, did you see that Apple removed Siri from the marketplace for the older iPhones? Is that the kind of support you were looking for? I personally had an Iphone and an Android device. I am in line waiting for a new WP 8 device. I am tired of the old Iphone everybody has one, and Crashdroid. MS being in the game gives us all an alternative. After testing the 7.5 I was very impressed and willing to jump0 on the MS boat. What I am yet to understand is why most of the tech writers are hating so much. All of them are declaring WP8 dead before its birth. The same way Apple came back from the dead, I wouldn’t bet my money on Nokia/MS’ failure just yet. Guys do check out my apps ! It is true the number of apps on the market doesn’t indicate success, but with the impending launch of Windows 8 there is going to be a huge market for apps. You add to that the xbox tie ins and there is definitely a market for successful games there. The windows phone market is going to grow because of the windows monopoly, and I wouldn’t be surprised to see Microsoft catch Google in the tablet market before they come close in the phone market. The main issues I see from windows phone is the devices are uninspiring from a hardware perspective. I expect Nokia to turn that around in the next year and start producing phones that compete with hardware to compete with Samsung and Apple. At that point the development landscape is going to get interesting. If Microsoft can successfully capture 2nd place in the tablet market, and a closer 3rd in phone market, then developers are going to have to choose between 3 very different consumer bases, and you’ll see apps launching first on any of the 3 markets depending on the target audience. Microsoft still makes the best development tools, and they have software similar platforms in the xbox and windows platforms; so no matter what Microsoft will have developers, and the only question is who they’re going to be developing for. You clearly have not done your research. Do you know that Samsung has already released more than a few Windows phones? In fact, Samsung Focus was the highest selling Windows phone 7 device in the US. The Nokia Lumia 900 that was release earlier this April is doing well and is selling 2nd best only to the iPhone at AT&T. As for the hardware comparisons, the Windows phone with its single core processor is just as fast if not faster than the dual core devices including the iPhone out there. WP is highly optimised for single core. The iPhone has slower cores 800Mhz compared to 1.4GHz processor of Lumia (1.4GHz vs 1.6 GHz (.8×2)), that’s just difference of 12.5% in computing power. However 98% of applications made so far are single threaded applications and they can’t use dual cores, so a game like Fruit Ninja runs 75% faster in Lumia than on iPhone. So for 99% of applications Lumia has better processor than iPhone. Sorry, The main problem is marketing. Your mom doesn’t care about that stuff you are talking about, and neither will your kids.. The average consumer care about whats cool or popular. Unfortunately marketing has this effect. It’s all about marketing, and WP has the worst! BTW, I love WP! Will windows 8 run on smartphones? Will there be a smartphone flavor? will all of the desktop applications that will get the new UI touch support, be able to shift to run on smartphones? I bought a Palm Pre, and it was a FAR superior OS to iOS at the time or Android…it didn’t do them any good. I got burned once by a phone “with a lot of promise”…I won’t do it again! Other people got burned with Symbian or Meego…the point is, you only get burned once…then, instead of going with an “underdog”, you go with a proven winner that ALREADY HAS the developer support (and apps) you are looking for. THIS is what Microsoft isn’t “getting”. They already lost the race, they just don’t realize it. Did you know Windows Phone retail market share overtook Blackberry sales in April in USA? Windows Phone may be the tortoise in this race, but there is no indication they will not finish the race. Microsoft is not going to be cancelling Windows Phone any time soon. This is a ridiculous statement because using this logic, if Windows Phone was stuck in first gear and struggling to reach 10K apps today it would be disastrous. So clearly there is an app growth rate that is important to achieve. Until we see a complete separation between Windows Mobile and Windows Phone in market share data I think it is premature to say Windows Phone is down. Windows Phone started with 0% and by the latest count of just Windows Phone is up to about 2%. That shows growth, albeit small, and outside the U.S. it seems to be doing decent. IMHO, a major problem here is that Sprint and Verizon aren’t at all supporting Windows Phone with a single device each that is about a year old. Without at least all four major carriers there is no way it can succeed, it’s not Apple. Also, other than Nokia, no other manufacturer seems to care much about Windows Phone and just puts the OS onto hardware that they also have running Android. Matt, I can’t disagree with anything you’ve said here. But these are just additional reasons that having 100k apps doesn’t matter; that’s not why Windows Phone is struggling. It’s sad to see because it really is a solid operating system. It’s just not winning in the mindset department. Windows Phone is not struggling. It is growing slowly. Blackberry is struggling, with steep loss of market share. In Q2 2011 only 1.7 million Windows Phones were sold (WM sales stopped in Q1 2011). That means when Q2 2012 numbers come in in July of about 4 million Windows Phones sold it will look like more than 100% growth. 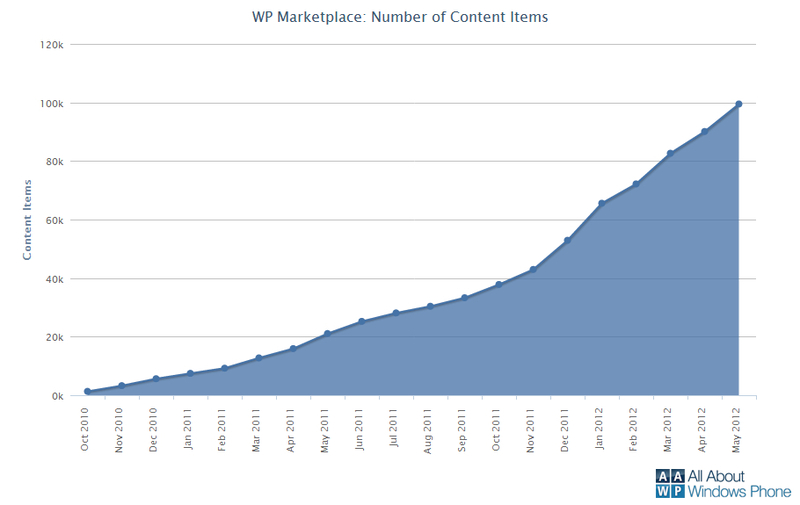 Those who have been watching WP closely have been seeing significant, encouraging, if slow growth for a while now. As for the number of Apps in Windows Phones Marketplace, that doesn’t really impress me at all. Why? Because Microsoft pays and otherwise provides incentives for Developers to create Apps, any Apps. It doesn’t matter if they are useful or even complete duplications of other Apps. Every time Microsoft comes out boasting about the number of Apps in their Marketplace I hear actual users say “but the quality of the Apps are still quite lacking” and admit that they still keep an iPod Touch or other device around so that they can still enjoy all the great Apps all their friends are using that are still not on Windows phone. I tend to disagree with you. When Xbox came out everyone said it did not have a chance against Sony and Nintendo. Look at it now. It is number one by a large margin. As long as Microsoft puts the same effort into Windows Phone, it will succeed. As for quality Apps, I believe most of them are there and what is there is superior than the Apps on the other phones.